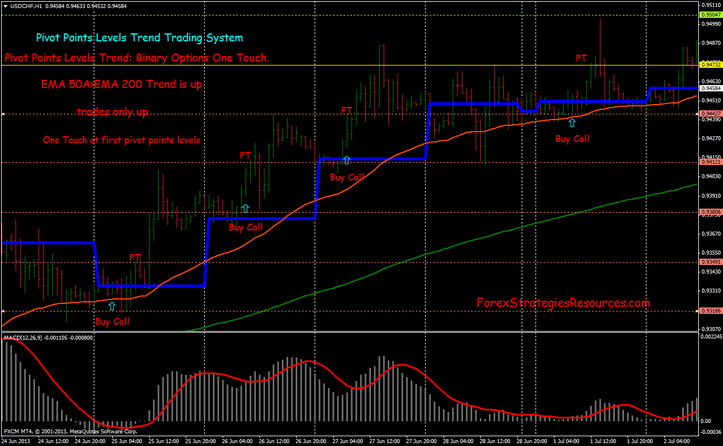 This Trading system can be used for binary options High / Low or one touch binary options. 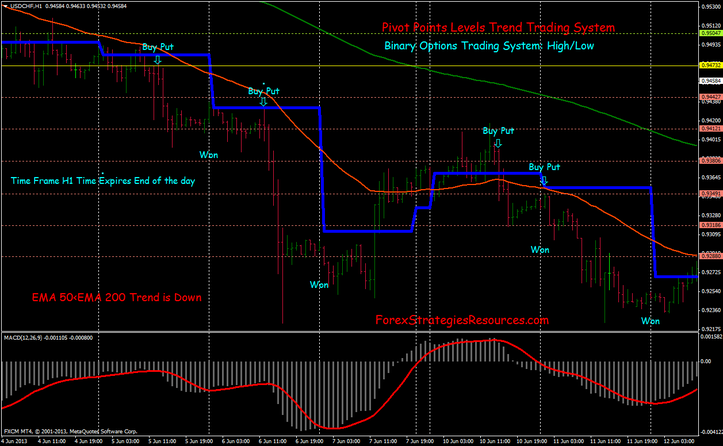 Rules: Pivot Points Levels Trend: Binary options High/Low and Binary options One Touch. Time Frame:H1 Time Exipires and of day. MACD indicator (12, 26, 9). Exit Binary options One Touch at first pivot points levels (recommended) or at the second pivot point levels, expires end of the day. 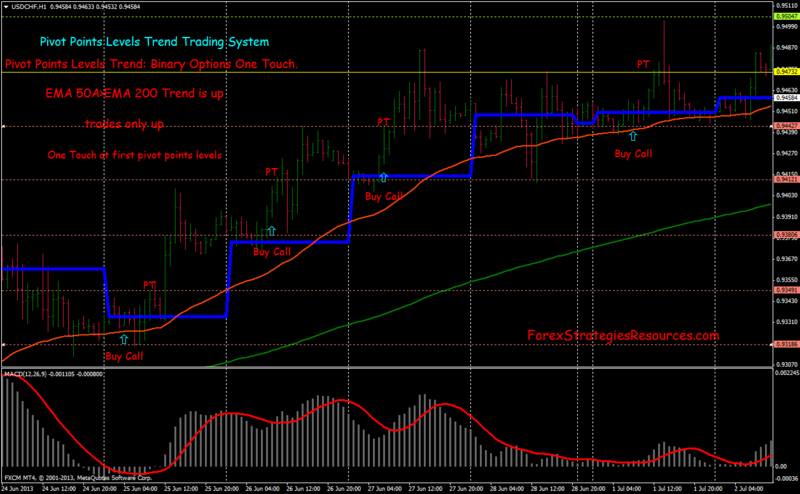 In the pictures belowBinary Options Strategy Pivot Points Levels Trend in action. Share your opinion, can help everyone to understand the Binary Options strategy. Interesting strategy. Will try out lately. A lot of good information. It would be fail not to use it. Thanks for those who added it here! cherry picked charts. Win rate needs to be better.